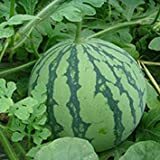 Watermelon plant growing – herbaceous of the genus Citrullus, Watermelon plant annual plant grow as semi vine, can grow mediterranean, desert, subtropics, temperate or tropics climate and growing in hardiness zone 4+. Fruit juicy sweet big in the color: red, yellow, orange, peel green, sometimes there is stripes or dots, is edible and mostly used for pickles, the structure of the rind smooth or rough structure. 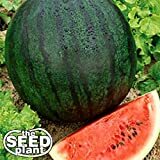 Seeds Shopp - 30 PCS Giant Watermelon Seeds Black Tyrant King Super Sweet Watermelon organic fruit seeds plant for Home Gardening New Arrival ! 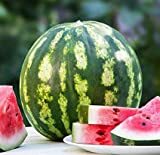 What can be done with big quantities of Watermelon plant fruits? 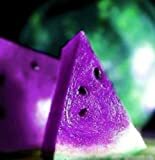 Crimson Sweet – a dark striped Watermelon plant that weighs around 20 to 25 lbs and has red, juicy flesh. Crimson sweet is a very sweet Watermelon plant with a high sugar content. 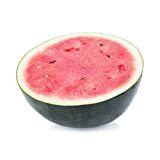 The flesh contains small seeds and it is known to resist various diseasses that can plague Watermelon plants. 85 days to maturity. Sugar Baby – the number one red icebox sized Watermelon plant. Orangeglo – an unusual and great tasting orange Watermelon plant. Blacktail Mountain – one of the earliest red Watermelon plants. Cream of Saskatchewan – a cream colored tasty Watermelon plant. Sweet Siberian – a very sweet and juicy apricot colored Watermelon plant. Black Diamond – a classic Watermelon plant with a dark rind with red flesh. 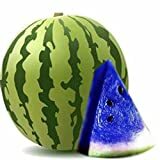 Moon & Stars – a deep green skinned speckled Watermelon plant with golden yellow stars and moons. Georgia Rattlesnake – a southern favorite Watermelon plant with stripes that resemble a rattlesnake. Osh Khirgizia – a sweet pink russian variety with yellow-green and jagged dark green stripes. Ali Baba – a light colored Iraqi Watermelon plant with excellent taste.